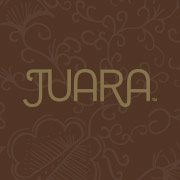 Champion your natural beauty with JUARA. JUARA Skincare is based on the centuries' old Indonesian botanical tradition called Jamu, with secret recipes blending natural ingredients to maintain health and beauty. Formulated with the modern, active woman in mind, JUARA brings you a tropical treat for your skin, and will put a smile on your face. 100% Vegetarian, Free of Parabens, Sulfates, Phthalates, Artificial Colorants and Harsh Chemicals. No Animal Testing, and Cruelty Free.